Today on the BCP Show we talk with our good friend, Mark Stoner. Before Mark built the multi-million dollar chimney business that he runs today, he built a business that was such a mess it made him physically ill every morning. If anyone knows how important mindset is and how great of an impact it can have on what you’re building and how you build it, it’s Mark. If you haven’t given much thought to your mindset and how it pushes you towards or away from your dreams, listen up. For more from Mark, including his book, Blue-Collar Gold: How to Build a Service Business from the Dirt Up, head to markstoner.com. ~While you’re thinking about mindset and how you can become a better leader in your business, head to Amazon and get our book, Blue Collar Proud: Ten Principles for Building a Kickass Business You Love. 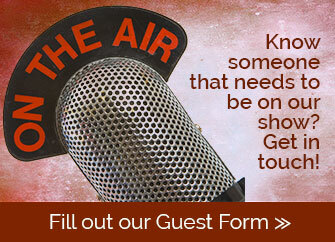 ~We’re always working to make the BCP Show better for our listeners, and your feedback helps. Leave us a review over in iTunes or on Facebook. And don’t forget to join the BCP Nation Facebook Group if you aren’t already a member. We’ll let you right in! ~Head to bcpshow.com/app on your phone and get our FREE app. With the app, you’ll never miss new episodes, bonus content, or special offers.